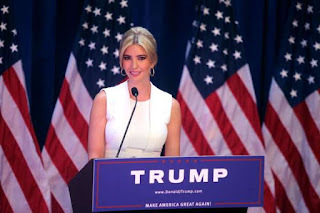 BEIJING — China this month awarded Ivanka Trump seven new trademarks across a broad collection of businesses, including books, housewares and cushions. At around the same time, President Trump vowed to find a way to prevent a major Chinese telecommunications company from going bust, even though the company has a history of violating American limits on doing business with countries like Iran and North Korea. Still, the remarkable timing is raising familiar questions about the Trump family’s businesses and its patriarch’s status as commander in chief. Even as Mr. Trump contends with Beijing on issues like security and trade, his family and the company that bears his name are trying to make money off their brand in China’s flush and potentially promising market. he most recent slew of trademarks appear to have been granted along the same timeline as Ms. Trump’s previous requests, experts said. But more broadly, they said, Ms. Trump’s growing portfolio of trademarks in China and the family’s business interests there raises questions about whether Chinese officials are giving the Trump family extra consideration that they otherwise might not get. These critics say the foreign governments that do business with Ms. Trump know they are dealing with the president’s daughter — a person who also works in the White House. Some countries will no doubt see this as a way to curry favor with President Trump,” wrote Fred Wertheimer, president of Democracy 21, and Norman Eisen, chairman of Citizens for Responsibility and Ethics in Washington, two nonprofit watchdog groups. Mr. Eisen’s group reported on the trademarks on Saturday. Ms. Trump’s representatives have said that there is nothing improper about Ms. Trump’s trademarks and that they prevent individuals from profiting off her name. Abigail Klem, her brand’s president, said previously that the brand’s protection of trademarks is “in the normal course of business,” especially in countries where trademark infringement is rampant. Ms. Trump’s representatives were not immediately available for comment on Monday, a holiday in the United States. Chinese trademark officials didn’t respond to a request for comment on Monday. Mr. Trump said in a surprise announcement on May 13 that he was working with China’s president, Xi Jinping, to save jobs at the Chinese telecommunications company, ZTE. The company was left paralyzed after American officials forbade companies in the United States from selling their chips, software and other goods to ZTE for violating trade controls. Mr. Trump’s announcement was widely seen as a potential peace offering to Beijing as the United States and China threatened each other with tariffs on hundreds of billions of dollars worth of trade. Just before and after that announcement, Ms. Trump won some long-sought trademarks covering her name in China. Six days before the ZTE announcement, China said it approved five of Ms. Trump’s trademarks, according to data from China’s trademark office. Then, on May 21, China awarded Ms. Trump two more trademarks in snacks, spices and bleaching preparations. In total, Ms. Trump now has 34 trademarks in China that would allow her to capitalize on her brand in the world’s second-largest economy. Experts said the timing appeared to be a coincidence, given how quickly Ms. Trump won her previous trademark requests from the Chinese authorities, though they differed on whether she appeared to receive special treatment. Ms. Trump applied for six of the trademarks in March 2017. She applied for the seventh even earlier, in May 2016. China’s trademark office usually takes up to 18 months to approve trademarks, said Charles Feng, head of the intellectual property division at the law firm East & Concord Partners. “From application to registration, this is very fast,” he said. Still, Ms. Trump’s fame is likely to have helped her with the trademark approval process in China, according to Ms. Young. The president’s daughter has a large following in China, where she is lauded by many for her appearance and wealth. Videos of Ms. Trump’s daughter, Arabella, singing Chinese songs have gone viral. “When a person is famous, and the examiners say: ‘Oh, I’ve heard of this person,’ it can be decided more quickly than if the examiner is not sure and has to consult others or go to a committee,” Ms. Young said. Mr. Trump himself has more than 100 trademarks in China. Several United States senators have criticized these trademarks, warning it could be a breach of the United States Constitution and that foreign governments could use Mr. Trump’s trademarks to influence foreign policy decisions. Mr. Trump has said he has handed over control of his business to his two adult sons. The Trump Organization has said it has been actively enforcing its intellectual property rights in China for more than a decade to protect its brand from infringers. China’s infamous “trademark squatters” — people who register the names of famous brands and people and “squat” on them in the hopes that they can cash in on it — have flocked to the Trump brand. According to Mr. Feng, there are more than 10 Ivanka trademarks registered by parties not related to Ms. Trump. Some of these include a company in the southern city of Foshan, which has registered “Yiwanka,” the Chinese translation of Ivanka, for sanitary pads and tampons. The Nanjing Good Daughter Wine Company, an alcohol maker, has registered Ivanka Trump in English and Chinese. The trademarks are not the only Trump-related deal that took place around the time of Mr. Trump’s pledge to save ZTE. On May 15, an Indonesian company called MNC Group, which is partnering with the Trump Organization to build a six-star hotel and golf course in Indonesia, said it had struck a deal with an arm of the Metallurgical Corporation of China, a state-owned construction company, to build a theme park next door to the planned Trump properties. MNC has said that the hotel and the theme park are separate projects within the same development.